4 stk. 12,4 gram digital servoer. 1 stk. forlængerledning til batteri. 1 stk. 4,8 Volt NiMH batteri på 700mAh. Get your Ahi into the air quickly with no hassles! 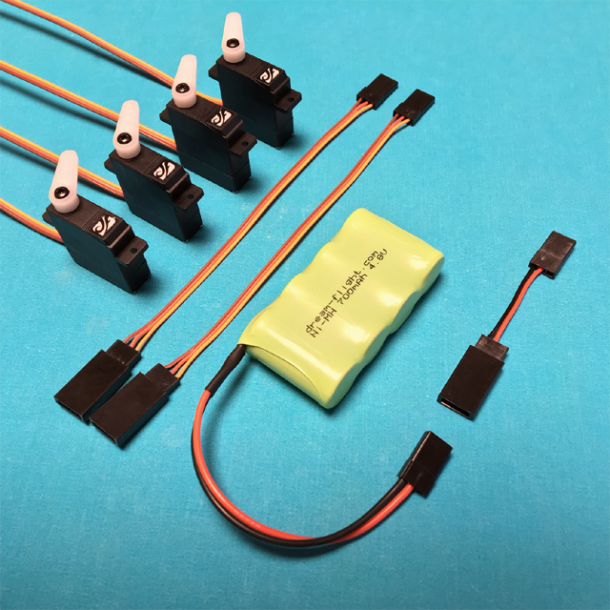 All components are a drop-in fit and servos are covered by our Fly Forever Lifetime Warranty.